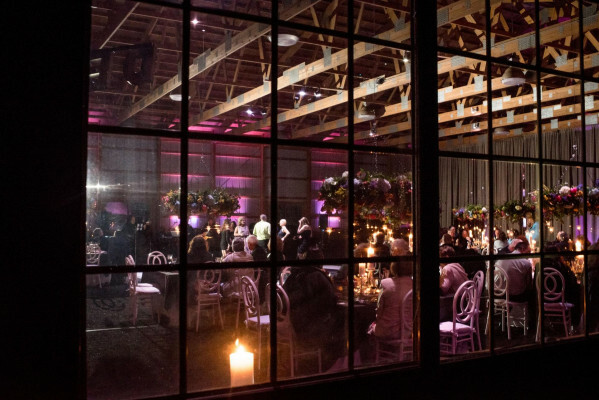 WoodsEdge is a circa 1700's private farm estate that offers 90 acres of serene New Jersey farmland. 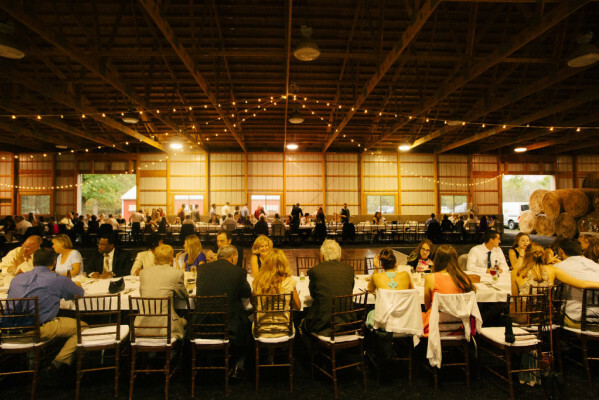 WoodsEdge is a family owner & operated farm that has been in business for over 40 years. 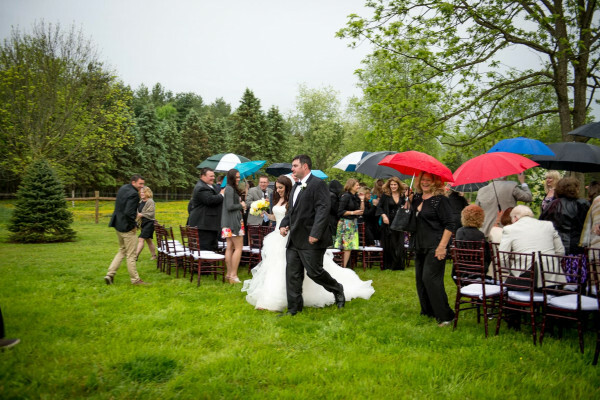 As you enter the gate, pass the pond, go over the bridge and past the 1800s farmhouse, you will feel like you have been transported to one of the most peaceful places in New Jersey. 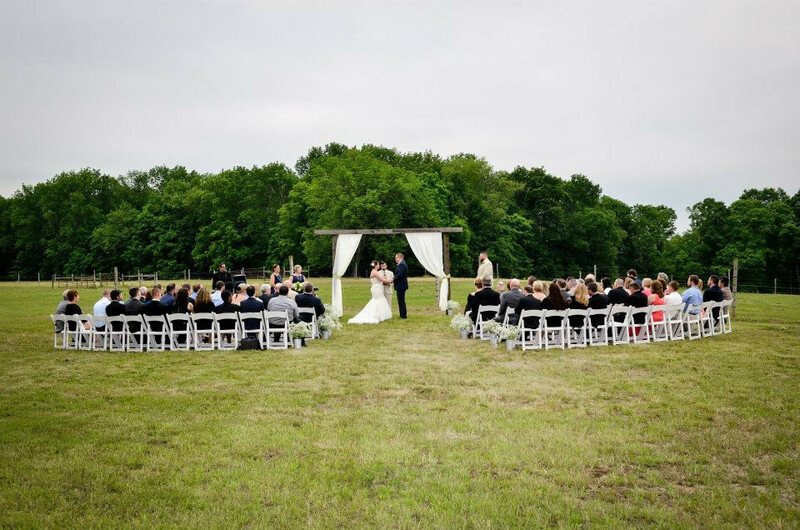 WoodsEdge is a circa 1700's private farm estate that offers 90 acres of serene New Jersey farmland. Bucolic pastoral acreage is accentuated by bubbling streams and a pond surrounded by wildlife. 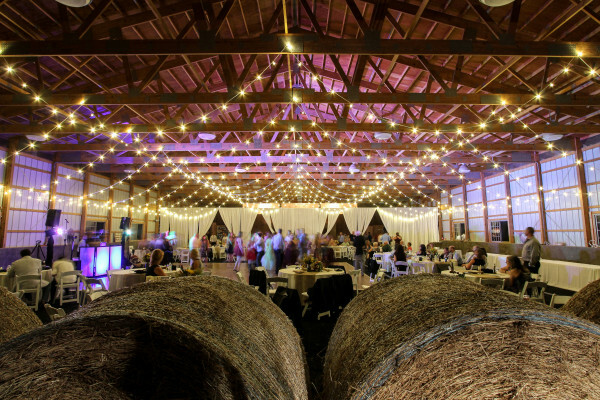 It is also home to our fiber producing herds of alpacas, llamas & Tibetan yak. The country setting, the isolation, simplicity, and natural beauty are the perfect retreat from the hustle and bustle of busy everyday lives. 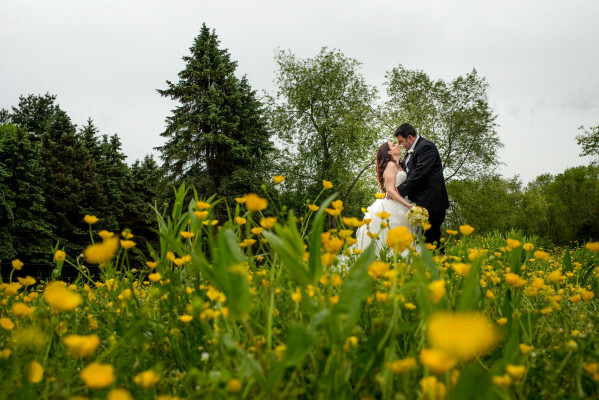 WoodsEdge is a working farm, far more peaceful than most venues, with many beautiful settings for your photographer to capture those special memories of the day. 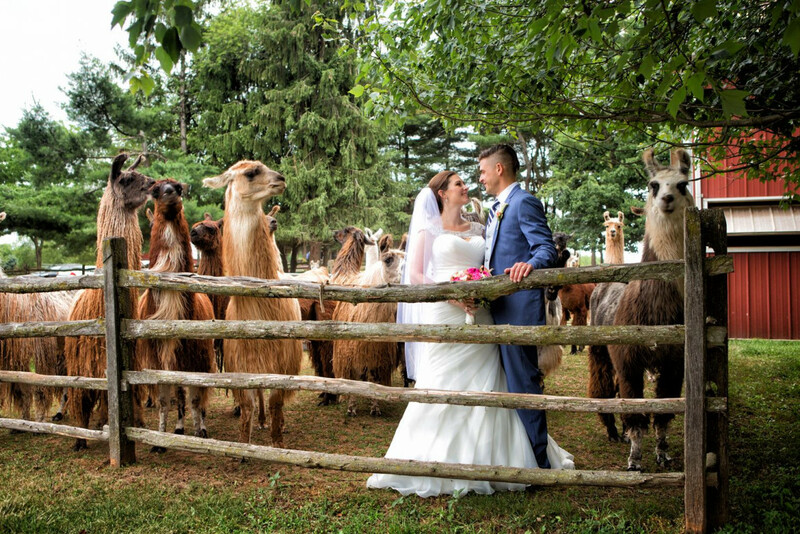 If the bride & groom (and their photographer) are adventurous - we can take you into the pastures with the llamas for some incredible photos! 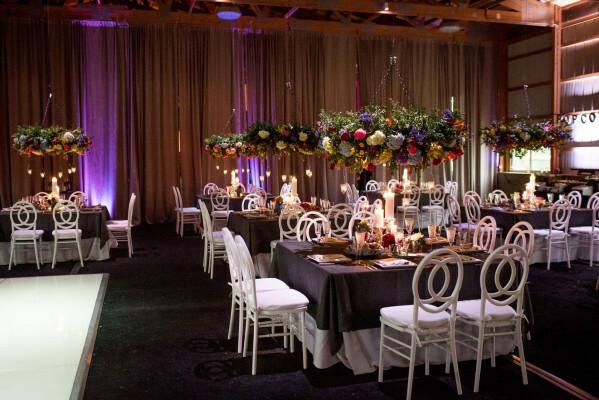 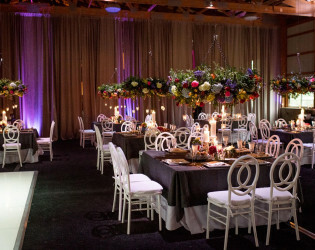 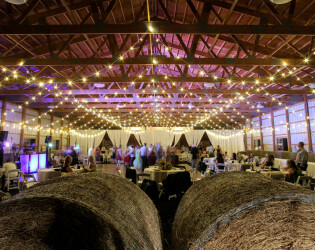 Our award-winning 20,000 square foot Wedding & Event Barn boasts 16' high ceilings with exposed wooden beams. 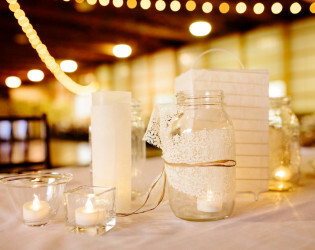 It is an undecorated space which gives you the flexibility to create the perfect wedding day in your own personal style; a venue where memories are made, in a beautiful setting for your unique and special day. 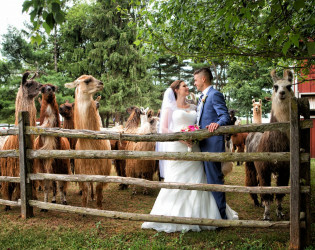 Our most popular staff member is a llama. Larry, as he is affectionately named, is our best salesman and the most popular guest at any eenet held at WoodsEdge. 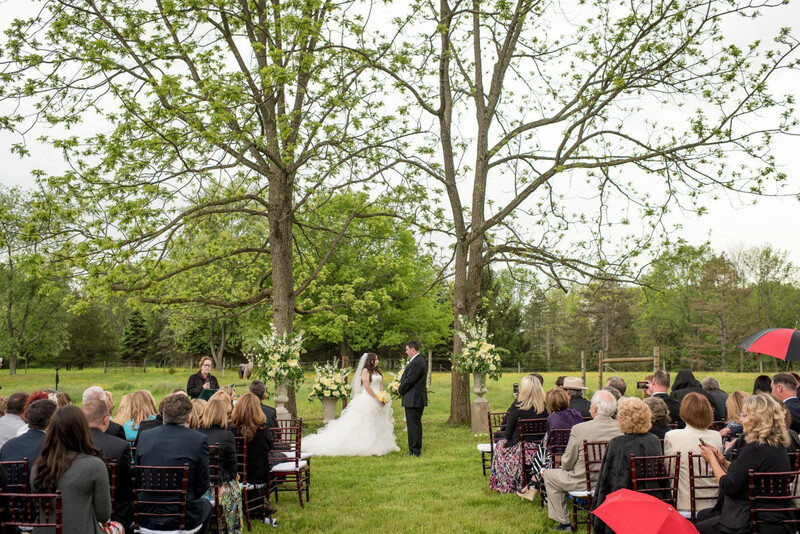 People always ask to see Larry and he is always happy to greet them with clucks & kisses. 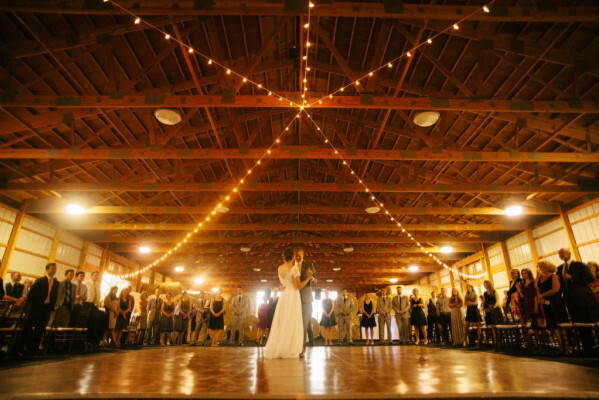 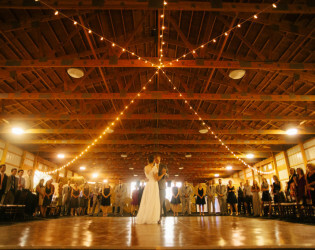 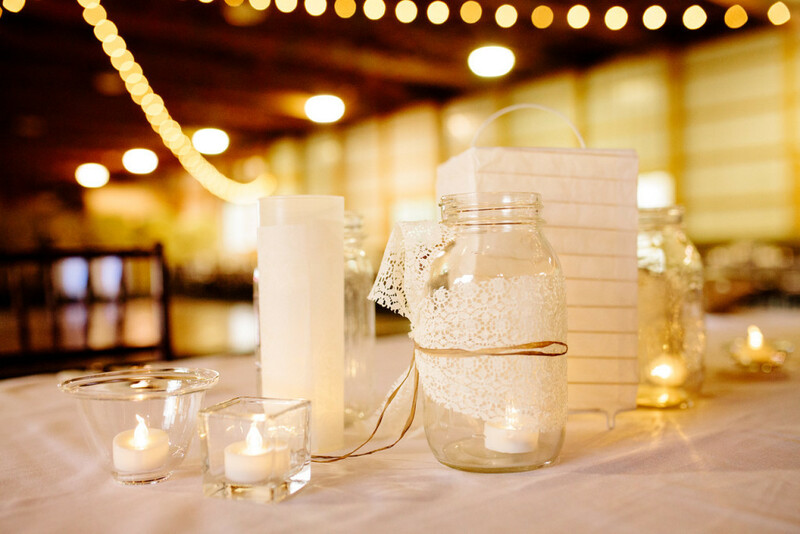 We include 15 strands of twinkle/bistro lights in the barn - once the sun goes down the lights make the barn glow! 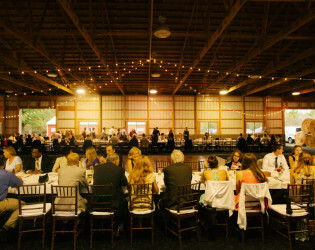 Our award-winning, 20,000 square foot Wedding & Event Barn. 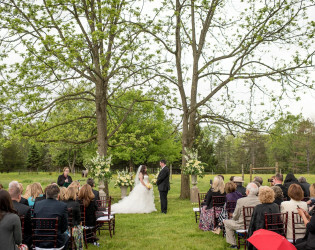 WoodsEdge is a working farm, far more peaceful than most venues, with many beautiful settings for your photographer to capture those special memories of the day. Bucolic pastoral acreage is accentuated by bubbling streams and a pond surrounded by wildlife. It is also home to our fiber producing herds of alpacas, llamas & Tibetan yak. 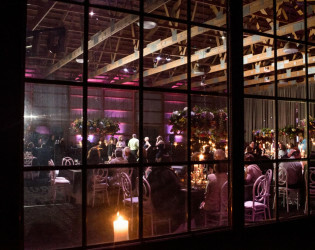 A unique wedding and special event venue in the country.